The delivery truck has arrived and I’m thrilled to announce that our Everyday Angels resources are here. We can’t wait to get this training into your hands! I highly recommend you grab a discounted package with the book and CDs or DVDs because I’ve designed the resources to be very complementary to one other. The nine sessions correspond to my nine chapters in the book and average 25 minutes in length. I encourage you to read a chapter in the book first, then once you’re familiar with the content, check out the session with the same title. In this way I can build on the foundation you learned from the book and take you even deeper with further teaching points, illustrative stories and clarifying principles to add to what you now know. Doesn’t interacting with angels detract from our relationship with Jesus? What about worshiping angels? And satan as an angel of light? Aren’t we going to get deceived? When you order now, you’ll receive two FREE bonuses with every Everyday Angels product order! First, a PDF Report: In Defense of Angels. We’ve condensed 12 of the key biblical points from the book into a concise six-page summary, plus we explore additional Scriptures specifically on initiating angelic conversation. Your second free downloadable bonus is a PDF of the 15 ways the Bible reveals that angels minister to you. In addition to the list of ways God uses His angels to bless and assist you, also included is a prophetic prayer of activation. As you declare these biblical promises in faith, you will be agreeing with God’s Word and commissioning His angelic hosts to release the power, protection and provision of Heaven in to your world. We know this revelation is going to bless you, so we have even made these extraordinary Scriptures and prayer available on beautiful 8” x 5” Ministry Cards. They are the perfect size to slide in your book or Bible as a bookmark and an anointed reminder of the many blessings Father has provided for you through your angelic bodyguards. 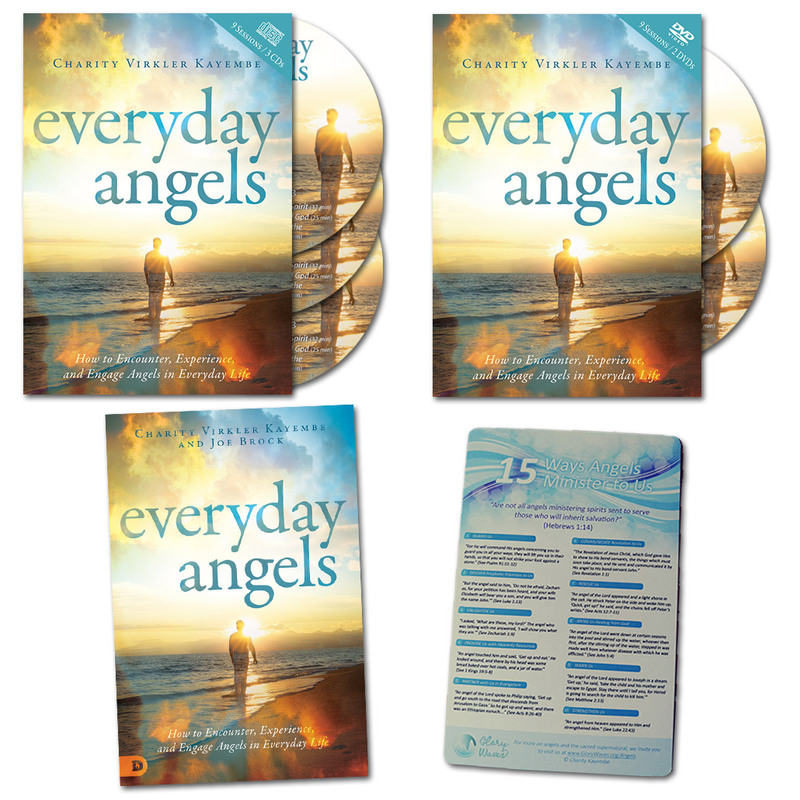 In addition to the downloadable version, we’ll also include a free 15 Ways Angels Minister Card with each Everyday Angels CD Package, DVD Package, or Complete Package! The CD and DVD series include 8 teaching sessions, plus a VERY SPECIAL bonus message. And for all our international friends who want to save on shipping costs – and those of you who just can’t wait to get the teaching (!) – we’ve got you covered too. The ebook, MP3s and digital videos are ready for instant download, and we’re even making available a deeply discounted electronic package of all three! Choose which option is best for you, get your free bonuses, and learn how to step into the sacred supernatural with the company of Heaven. Trucking photo courtesy of skybeacon at freeimages.com.